Continuing with a jungle theme, here we have 10CC competing with themselves. So the question is: do you prefer them shackled to the Bubblegum Kings or working for themselves? Written and released as part of 10CC's tie-in with the Kasenetz Katz Bubblegum Factory. 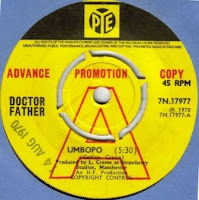 This version of Umbopo was produced by Ritchie Cordell with Graham Gouldman and probably features all four Hotleg/ 10cc members. 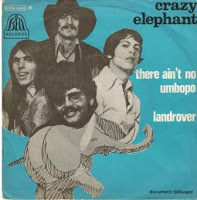 The Crazy Elephant take on the song is an admirable cavernous Spectorian tour de force a la Checkmates (Love Is All I have To Give) and should have been a huge hit at the time. There's a surprising emotional resonance as well, partly because the lyrics, but also due the lead and backing vocal performance and interplay. The bass playing is also just fantastic. Both are great. I have a preference for the Crazy Elephant version, though.